Though the name might not be familiar, the adorable characters of the super-popular Kawaii genre of manga are unmistakable. Hello Kitty and the creatures of Pokémon are just some of the most recognizable Kawaii cuties. From loveable anthros to funny monsters to cute Goths, these colorfully graphic characters are incredibly fun to draw. 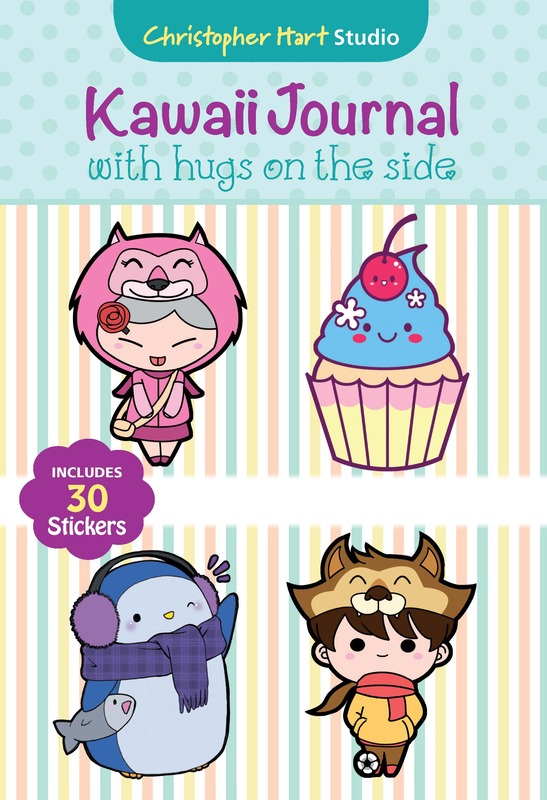 Artists of all ages will love the Kawaii Journal with Hugs on the Side. With guided prompts from manga master Christopher Hart and awww-inspiring art throughout, this adorable sketchbook will inspire endless creativity. Whether they use it to practice drawing their favorite manga characters, for sketching on the go, or for recording their innermost thoughts and feelings, Kawaii lovers wonâ€™t be able to resist Kawaii Journal with Hugs on the Side.